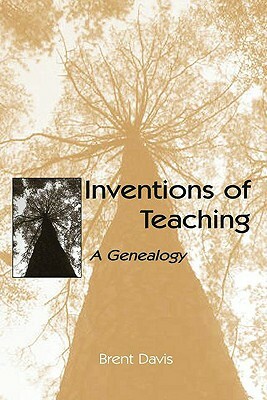 "Inventions of Teaching: A Genealogy" is a powerful examination of current metaphors for and synonyms of teaching. It offers an account of the varied and conflicting influences and conceptual commitments that have contributed to contemporary vocabularies--and that are in some ways maintained by those vocabularies, in spite of inconsistencies and incompatibilities among popular terms. The concern that frames the book is how speakers of English invented (in the original sense of the word, "came upon") our current vocabularies for teaching. Conceptually, this book is unique in the educational literature. As a whole, it presents an overview of the major underlying philosophical and ideological concepts and traditions related to knowledge, learning, and teaching in the Western world, concisely introducing readers to the central historical and contemporary discourses that shape current discussions and beliefs in the field. Because the organization of historical, philosophical, theoretical, and etymological information is around key conceptual divergences in Western thought rather than any sort of chronology, this text is not a linear history, but several histories--or, more precisely, it is a genealogy. Specifically, it is developed around breaks in opinion that gave or are giving rise to diverse interpretations of knowledge, learning, and teaching--highlighting historical moments in which vibrant new figurative understandings of teaching emerged and moments at which they froze into literalness. The book is composed of two sorts of chapters, "branching" and "teaching." Branching chapters include an opening treatment of the break in opinion, separate discussions of each branch, and a summary of the common assumptions and shared histories of the two branches. Teaching chapters offer brief etymological histories and some of the practical implications of the terms for teaching that were coined, co-opted, or redefined within the various traditions. "Inventions of Teaching: A Genealogy" is an essential text for senior undergraduate and graduate courses in curriculum studies and foundations of teaching and is highly relevant as well for students, faculty, and researchers across the field of education.